French car brand Citroen made its official brand debut in India today with the top management led by Carlos Tavares, chairman of the managing board, Groupe PSA and Linda Jackson, CEO – Citroen Brand announcing the first model for India and the plans for the next couple of years. Jackson confirmed launching its latest flagship, the C5 Aircross, in India next year. “I wanted to bring the latest car that I have launched, to India,” she said while answering media questions during the press conference. Citroen has a nice, modern and disruptive way to it which made it a better choice for the Indian market, she added. Citroen has set up a vehicle manufacturing base in Tamil Nadu with the CK Birla group apart from the engine and transmission manufacturing JV with AVTEC. It already has an R&D tie-up with TCS, and will focus on developing cars for India, in India. In fact, Citroen announced that it will be in a position to launch the first of these new family of cars as early as 2021, and continue this frequency till 2023. Citroen hopes that its India story will play a crucial role in making the brand more international. Apart from introducing Citroen in India, PSA is also introducing Peugeot in North America and Opel in Russia as it tries to expand the group’s reach around the globe. The French company was facing near bankruptcy five years ago as it found itself stuck with its presence in the European market only. Tavares said that having noticed how this was hampering profitability, Groupe PSA decided to diversify. While initially, it was toying with the idea of bringing in Peugeot, a strategy overhaul in 2014 saw it scrap that plan only to announce a few years later that it would be Citroen that will come to India. The company is however cautious in its approach with no big immediate market takeover ambitions. Emmanuel Delay, executive VP and head of India-Pacific for Groupe PSA said the focus was on rationalising investments through strategic partnerships and making a business plan that will not be governed by volumes alone. In fact, compared to a usual 5% market share estimate, he revealed a more modest 2% target and said the company’s profitability and sustainability won’t be dictated by just volumes. 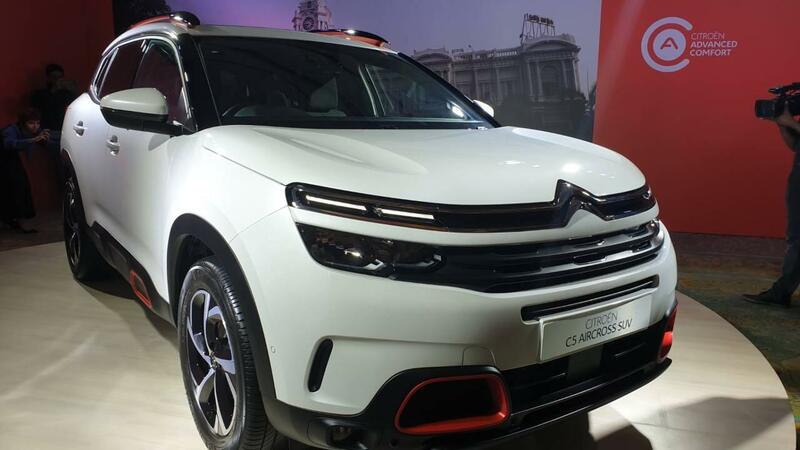 The C5 Aircross is a technology showcase for Citroen and it hopes to localise some parts by the time it launches it towards the end of 2020. Importantly, it will be the new India-bred models that will actually showcase how the brand gets accepted in India. While it is too early to talk about those models, Citroen’s next target is to get the dealer network in place, which will be crucial. However, it is keen on using the digital network here too. Roland Bouchara, senior VP, sales & marketing, Citroen India, revealed the strategy it had codenamed – ATAWADAC – short for AnyTimeAnyWhereAnyDeviceAnyContent – which will allow customers not only to book cars online but also call to have the vehicles serviced anywhere with the help of mobile service units. With the first car reaching dealerships only by the end of next year, Citroen has a long and tough journey ahead to make sense of the ever-changing, complex Indian market. Whether this brand will break Groupe PSA’s India jinx, we will only know that by 2021.